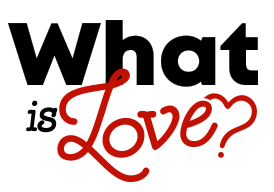 As we enter the month of Valentine’s Day and the stores burst with chocolate hearts and Hallmark cards and jewelry stores reach a peak season of sales, it begs the question: What is love anyway? The idea of love conjures images of flowers, tender words, love songs, kisses, warm fuzzy feelings and promises of eternal devotion. There is that, but love is so much more. It is a new mom basking in the miracle of her newborn and it is a woman who just gave birth relinquishing her baby for adoption to strangers she will never meet. One has a heart full of joy and wonder and the other has a heart breaking with the most gut wrenching pain imaginable. Is love admiring your girlfriend’s beautiful long hair reflecting the sunlight or is it holding her hair out of her face as she kneels at the toilet and pukes up the results of chemotherapy? Certainly it is both. True love signs up for whatever the future brings. It may mean finding other ways to connect and share life when one is incapable of performing sexually either through physical or psychological impairment. Initially, love is an attraction, a wonderful emotion that begs for more. The emotion of love can be instantaneous and give the illusion that you loved him or her from the moment you saw that person, but real love takes time to develop. Love is a decision, not simply an emotion. Love is more than enjoying each other’s company. It is sacrifice; sometimes extreme sacrifice. It’s pushing your partner’s wheelchair after a devastating accident or illness that left them permanently disabled when you planned on mountain climbing together for the next few years. Tough love is more than just a phrase. It’s an action that requires patience, strength and determination to do the right thing even when you think you can’t. It’s allowing the person you love to suffer the consequences of their actions, whether that is a rebellious teen or a chemically addicted spouse. Every parent loves helping their teen get ready for the school dance, but telling them they can’t go as a consequence of their extreme behavior is a different matter. Indulgence is natural for parents, but setting and enforcing boundaries is sometimes difficult. Hanging tough when your 5 year old…or 15 year old… screams “I hate you!” is what love is all about. You must love them enough to let them hate you without overreacting. The word “passion” is often associated with sexual attraction and intimacy. It also describes having an intense interest in something. But the word itself was not connected to the current meaning until the 12th century. Before then, it always referred to the passion of Christ and His sacrifice on the cross. Passion meant pain that came from extreme sacrificial love. The word itself comes from the Latin root word, passio, which means to suffer. It was first used in the English language around 1175 AD. Modern day usage does not convey the idea of suffering at all. When we compare our understanding of love with the love God has for us, we will always come up short. Rarely will we be called upon to suffer physically for someone we love. Keeping things in perspective is helpful when we measure the depth of our love. To be truly passionate means you are driven to the point of being willing to endure pain, suffering and loss for the one you love. As the Bible says in John 15:13, “Greater love has no man that this, that a man lay down his life for his friend”. Surely that applies to the holy relationship of marriage. When each member loves the other so much they would die for them, they should be willing to live sacrificially. If your relationship doesn’t have passion in the original sense of the word, then all the bling, all the flowers, all the beautiful words will not bring you happiness. As a therapist, I don’t do marriage counseling unless the relationship is complicated by either partner’s abusive past. I admire my colleagues who do marriage counseling, but I prefer trauma resolution with the individual complexity it brings or parenting coaching because it is ever changing as the child grows. In comparison, it seems to me that the average relationship between a man and a woman is pretty simple. Give more than you get and appreciate what is given to you. Of course that includes healthy boundaries and respecting each other’s individual needs and wants, but all in all, it seems that love shouldn’t be that complicated. I’m certainly not minimizing the importance of marriage counseling and it is a wise couple that seeks it out when they encounter difficulty in their relationship. But when you really value the other person as much as yourself, greed should naturally take a back seat. I love her… as long as she doesn’t gain weight. I love him… as long as he does things for me. I love her… as long as she satisfies me sexually. I love him… as long as he provides financially and allows me to stay home with the kids. I love him or her… as long as it doesn’t require anything from me. When any of those equations change, I often hear, “I love her but I’m not in love with her anymore.” Real love means you are willing to enter into each other’s pain and share their story no matter how complicated that is. Love between adults is a partnership. It’s learning to fight fair and understanding that the relationship is more important than being right. And it is standing together and supporting each other no matter what. I wish you all love and rainbows, sunshine and flowers, happy kisses and excitement in a relationship. That is certainly the beginnings of a more permanent love. But I wish you more than that. I hope you find mature love, sacrificial love, a hand to hold through tough times so you are never alone. I wish you the knowledge that you are loved so completely that you never doubt it. I wish you the kind of love that doubles your joys and divides your sorrows. I wish you someone special, if not this Valentine’s Day, then soon. In addition, I wish you a complete understanding of what love really is; a solid connection between two people. Love isn’t always pretty…but it is always beautiful.